Complete documentation for all NMath libraries is available online. 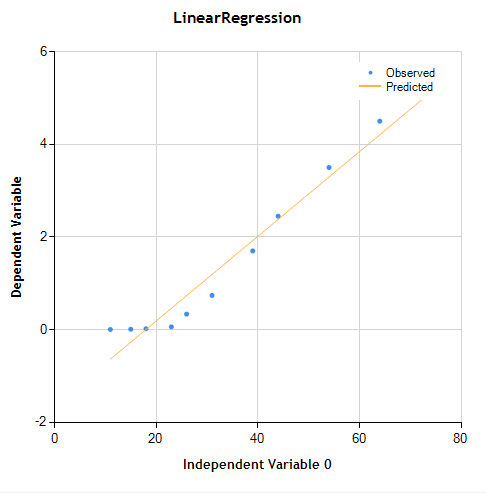 For more general information on linear regression, see the linear regression chapter in the NMath Stats User's Guide. All API documentation related to linear regression is available in the NMath Stats Reference Guide, outlined in the table below. Example showing how to use the linear regression class to perform a simple linear regression. Example showing how to use the linear regression class to perform a multiple linear regression. If you are interested in evaluating the Linear Regression classes in NMath, we offer a free trial version, for a 30-day evaluation period. This trial version is a fully featured distribution of NMath with no limitations. In only a few minutes you can be enjoying the power of NMath.